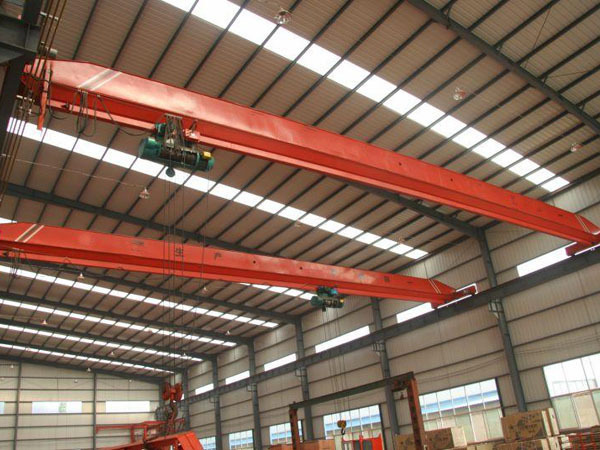 Single Girder Overhead Crane Low Price Crane Mobile Crane Small Crane Best Choice For Light Duty! 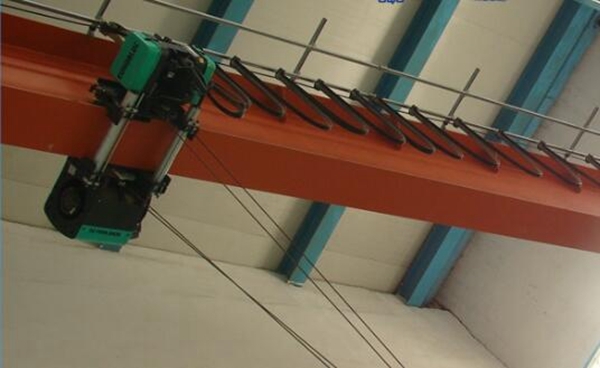 Single girder overhead crane is kind of small and light lifting equipment. 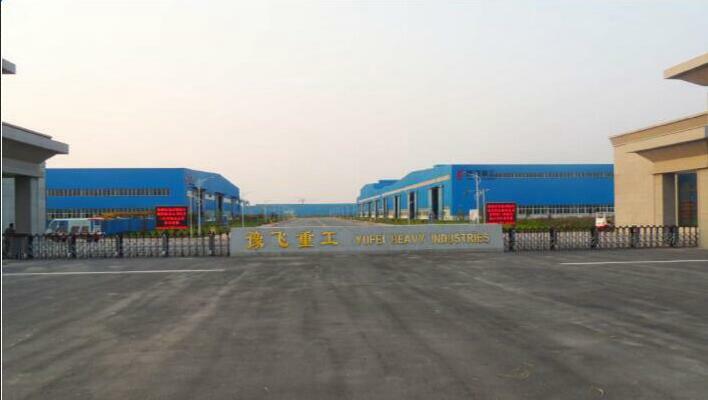 It is widely used in industrial factory, warehouse, workshop, stock ground, workstation factory, goods yard etc. It looks like bridge, because both ends of girder are on the tall concrete column and metal support structure. 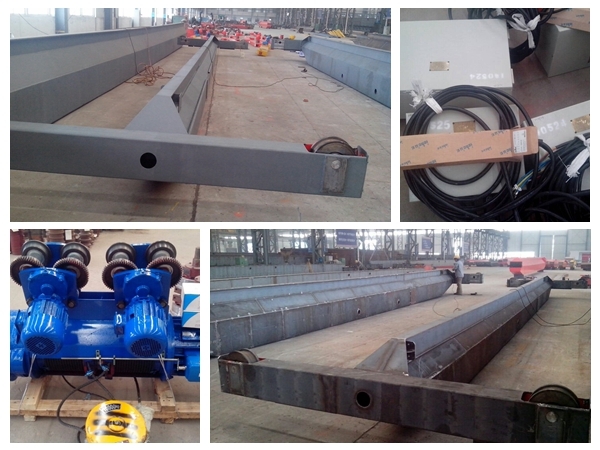 It consists of metal structure, crane travelling mechanism, lifting mechanism, safety protection and operation. Ellsen Group, a famous crane supplier and manufacturer, provides kinds of single girder travelling cranes with high quality and reasonable price. Ellsen provides light duty crane and heavy duty crane, such as single beam suspension light crane system 500kg, discount safety and reliable hoist double girder bridge crane 5t, 7 ton crane, 35 ton bridge crane for sale, discount kbk system, light crane system, magnet bridge crane for steel scrap, european style doulbe girder bridge crane with hook, professional large crane hook with heavy capacity, explosion proof overhead traveling crane. Why choose Ellsen single girder travelling cranes? Designed and produced according to national level, Ellsen crane has competitive advantages, which makes it popular in the crane industry. 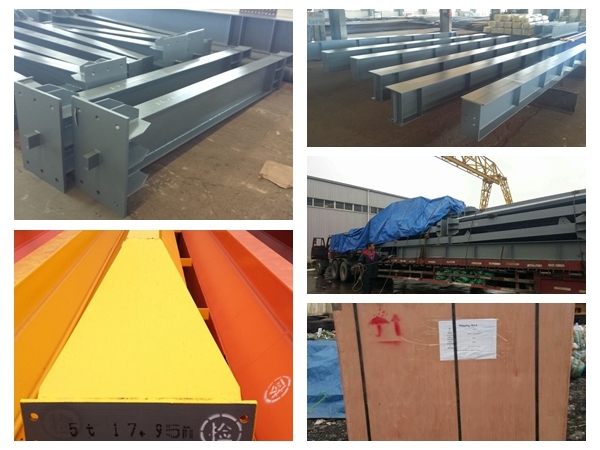 1.Crane girder is composed of high quality steel and u-shaped slot, which is designed to resist all horizontal, vertical and torsional forces. 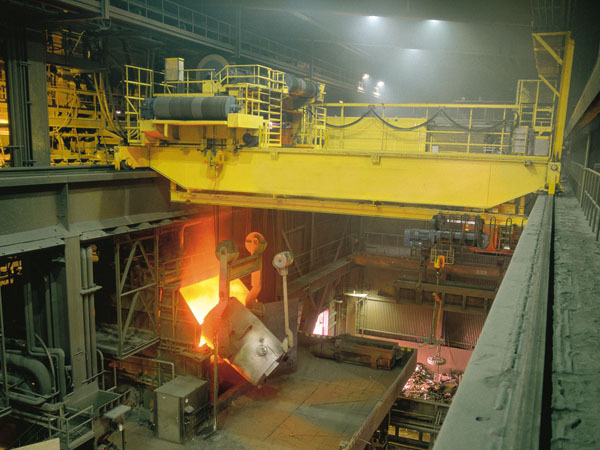 Main girders are connected with bolts; end girder is welded with rectangular tubes or good steel. 2.Crane travelling mechanism uses respective drive. Cart travelling mechanism depends on two electric motors with conic rotor that drives active wheels through gear reduction unit. The compact structure makes it small and light. Assembly and adjustment is quick and easy. Crane span structure of single girder crane moves longitudinal on the tracks that are paved on the sides of support structure. It can take full advantage of room to lift material without obstacles of ground equipment. It is regarded as the hoisting machinery that is used with widest scope. 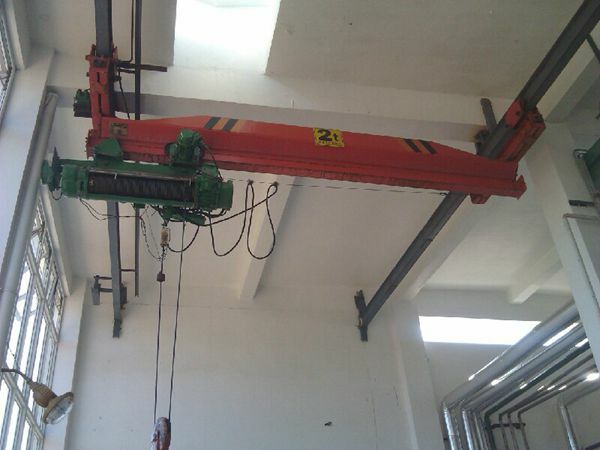 CD1 and MD1 electric hoist can be used with crane together. 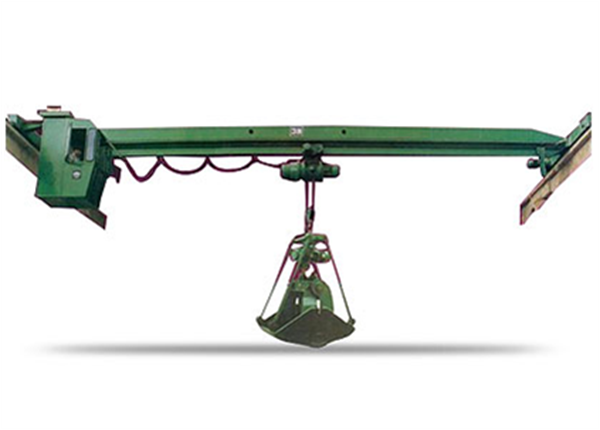 They are light type lifting equipment to improve efficiency and labor conditions. They have advantages of compact structure, convenient adjustment as well as small volume, light weight, heavy duty and easy operation, thus they are widely used to lift heavy goods in warehouse ,factory, mine, port etc. 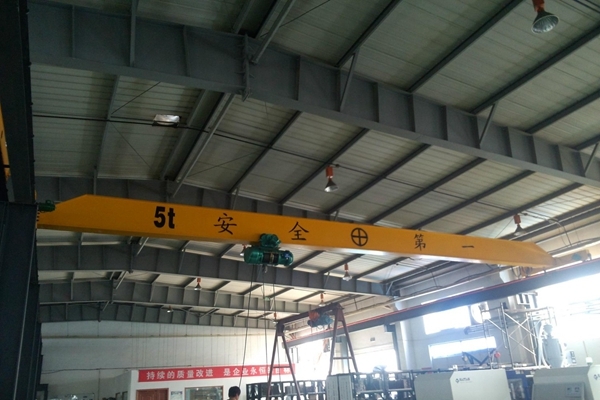 The main power of the crane is supplied by bus bar (slide wire) and current collector, the power of electric hoist is supplied by flexible cable. Crane safety is also the main point that users care about. When the lifting crane is overload, it will give a sharp warning for protecting itself. Once encounter some emergency situation, operator could start the emergency brake system to stay away from dangers as well as protect goods. At the same time, room- control or remote- control can avoid injury. What’s more, the motor has the function of thermal protection and currency protection, which makes it more reliable. All our products are checked carefully before leaving factory. How to operate overhead single girder crane? The bridge crane, it traverses across the runway. The hoist and trolley, it traverses across the bridge and lifts up and down. The runway, it is tied to the building structure. 1.Capacity-top running crane has larger capacity, under running crane can be up to 20t capacity, the practical limit is more like 15 tons and the economic spot is 1 to 7 ton range. 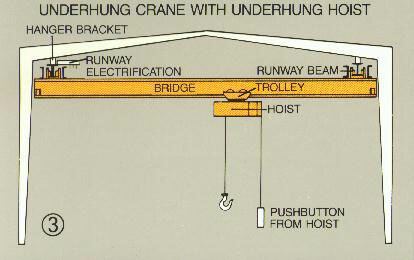 2.Support structure-under running crane can be suspended directly from the overhead steel(for lighter cranes). Top traveling crane needs a bracket off the building support steel(up to 10 ton capacity) or independent columns for heavier capacity. 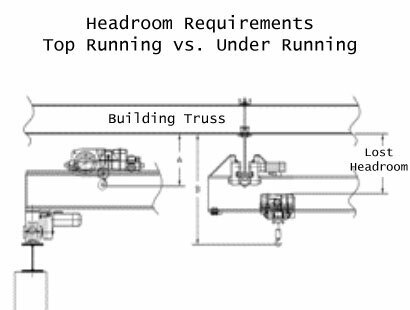 If it doesn’t has issues with headroom, top running system is ok. The most space efficienct configuration is the double girder, top running crane system. 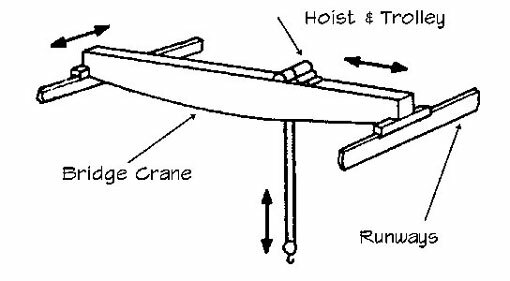 The above pictures show the three methods of supporting a top running crane. 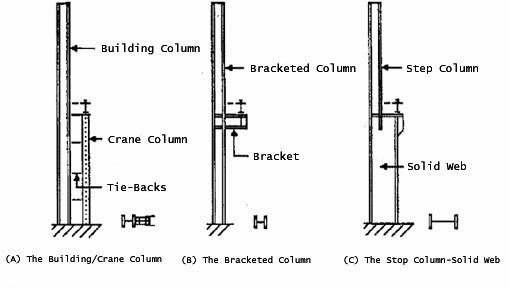 The above picture shows a typical column point. 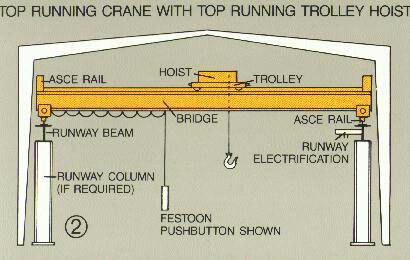 The above picture shows a typical runway cross section without the crane rail or fasteners. 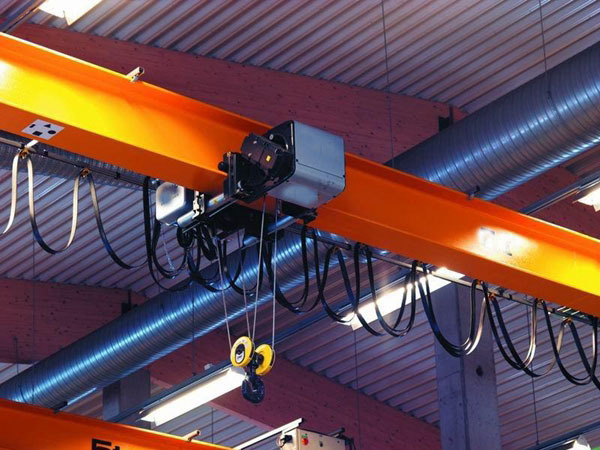 A business that requires an overhead crane is typically in an industrial business where large components are often moved from one location to another. You could have a large warehouse, where multi-ton products are stored and shipped every day, and to properly move them you are going to need an overhead crane. You may not need a gantry crane which is much larger, typically coming with legs that extend at angles from the top beam, providing extra support. 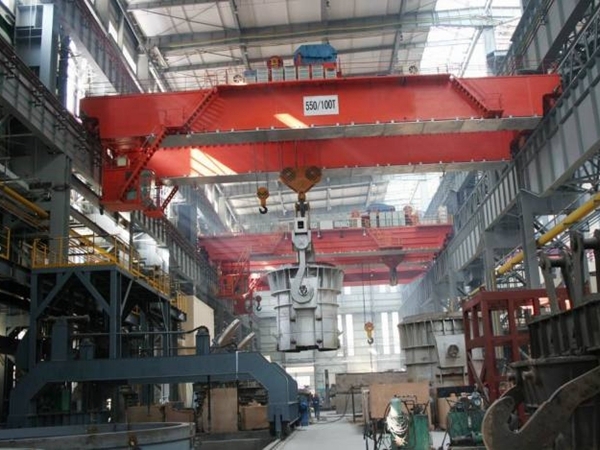 You may simply need a single or double overhead crane, each with either one or two girders. A single girder crane is going to have what is called a single bridge girder, one that will have two end trucks. The hoist, the component of the apparatus which is responsible for lifting everything, is going to move along the girder up above. Those that have single girders are typically designed for smaller amounts of weight, just a few tons at a time. However, if you need extra support because of the size of the materials you are moving, it double girder overhead crane is probably what you need. These are exactly the same as a single girder overhead crane except they have an additional girder. As you can imagine, this is added so that more weight can be lifted. Without this extra girder, it could compromise the entire system once you get over a certain amount of weight. That’s why you need to know how much the average weight is, as well as the maximum weight, of most of the products that you are going to be handling on a regular basis. 3.Where Should You Order These? The materials that are going to be used can come from a local company, but it is rare that you will have one of these businesses near your town or city. Instead, the Internet can provide you with the names and numbers of businesses that can provide you with all of this material, many of which are overseas and can sell them to you for the least amount of money. When you are able to pay a worker pennies on the dollar in comparison to $70 to $100 per hour, it is so easy to get fantastic deals. The shipping may cost a substantial amount, depending upon the weight of the entire apparatus, but it will be well worth it once you have had it shipped and it is installed in place. After you have installed either a single or double girder overhead crane, your production levels should increase dramatically. If you are in a building that has supporting structures that can be used, such as the steel beams that support the building that you are in, this can actually save you money if the contractors that install this can use what is there. Once it is in place, you will see that having one of these units is essential to productivity in this particular industry. You simply need to know how much the merchandise typically weighs, allowing you to make the right choice when choosing between single and double girder overhead cranes. 1. Lower price. It goes without saying that single girder overhead cranes typically cost less than double girder cranes. When you think about it, it makes sense. After all, by eliminating one of the girders, far fewer materials are required to complete the design. Additionally, trolleys that are designed for single girder cranes are much simpler than those that are designed for double girder cranes. Again, this can help reduce the overall purchase price, making these cranes an economical option. 2. Lighter weight. 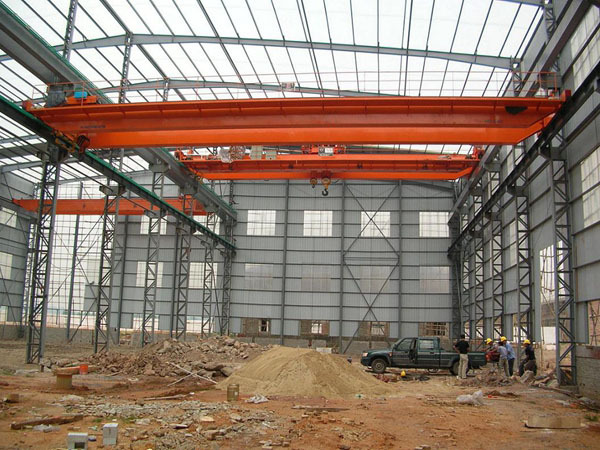 By eliminating the second girder and much of the support structure required for a double girder crane, single girder models are much lighter weight. This can help reduce the structural support requirements for your building. 3. Less expensive installation. Thanks to their relatively light weight and minimalistic design, single girder cranes tend to be far cheaper to install. Oftentimes, there is no need to add additional structural support to the building in order to support the weight of the crane. The same can’t be said for double girder cranes, many of which are extremely heavy and require additional support. With a single girder crane, not only are you saving money on the cost of the crane itself but also on the cost of the installation. That is why these cranes are such a good choice for businesses that are working with limited budgets. Of course, there are some downsides to these cranes as well. For instance, the trolley on single girder overhead crane tends to hang lower than on double girder cranes, simply because it is attached to the bottom of the girder rather than being mounted between two girders. This can make these cranes a poor choice for facilities that don’t have a lot of headroom. In fact, most trolleys that are designed for low headroom applications are attached to double girder cranes, simply because the design of these cranes minimizes how far they hang down into the building. Single girder cranes also may not be appropriate for extremely long spans. They generally work best when used in relatively small buildings where they don’t have to cover an extensive span of space. For wider buildings, double girder cranes may be more appropriate. All in all, however, single girder cranes offer a number of advantages. By carefully weighing the pros and cons of each type of crane, you should be able to choose the perfect model for your facility. If you have any questions or concerns about purchasing one of these cranes, don’t hesitate to reach out to a professional at a company that sells them for advice. That way, you can be sure that the crane you are buying is appropriate for your facility and for the work that you want to use it for. There is a significant difference between a single girder and double girder overhead crane. Overhead cranes are simply gantry cranes, those that are typically installed in a facility where there is a substantial amount of merchandise that is being moved. Larger ones will be installed outside with supporting beams, capable of moving large items such as containers from ships to the dock. Regardless of how they are used, these gantry cranes can be constructed with either one or two girders, and here is the primary difference between purchasing either one. 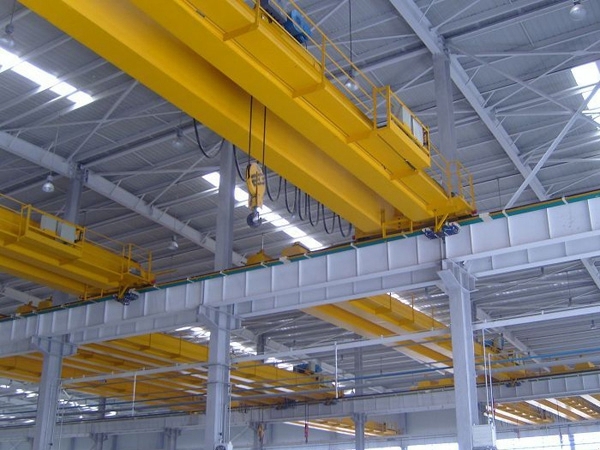 Before looking at the main difference between a single and double overhead girder overhead crane, let’s look at the different types of gantry cranes that you can purchase. There are so many variants including container cranes which are the ones that you will see on a dock which utilize horizontal gantry rails, and also cantilever supporting beams, which can handle incredible amounts of weight. There is also the full gantry crane which will have to supporting beams that are equal in size on either end of the beam up above. It is designed to handle a substantial amount of torque which can be created by very heavy loads, similar to those that are used in Belfast and in China to lift well over 1000 tons. Finally, there are workstation and rubber tired gantry cranes which are very large as well. However, if you are just looking at one that can lift anywhere from five to twenty tons, you simply need to focus on whether or not you need a single or double girder gantry crane. These are often enough for most businesses because they are capable of lifting between 5 and 10 tons. They can support that much weight, and even if the hoist is designed for a larger amount because it is either pneumonic or hydraulically powered, it’s still good to know that, for your business, this single girder design will be safe to use. If you are lifting more than that, the double girder design is often recommended because it will be able to support significantly more weight. 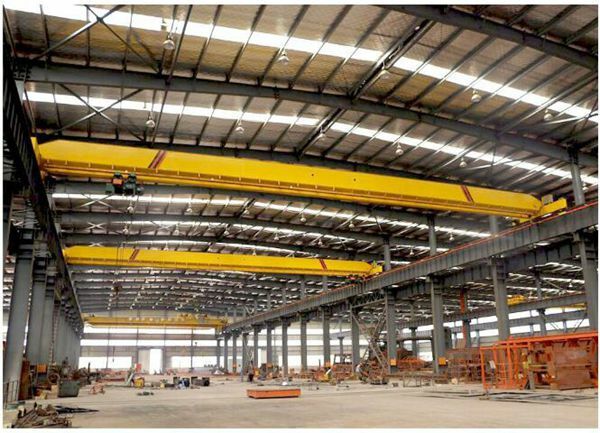 Otherwise, you can save money, and also a substantial amount of time in the construction of this crane, if you decide to go with a single girder overhead crane instead. Now that you know the difference between these two different styles of cranes, you can choose one that will fit your business. 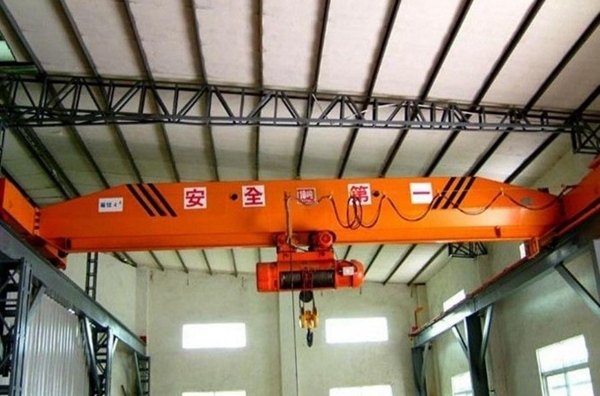 Most companies that have one inside do not often need to lift more than 10 tons, which makes the single girder gantry crane the best one to choose. Additionally, they can be installed very quickly and you can also save money because there are fewer components to this particular type of crane. It is simply the best choice for small to medium size businesses that are moving different types of merchandise that are relatively light in comparison to what double gantry cranes are typically moving. 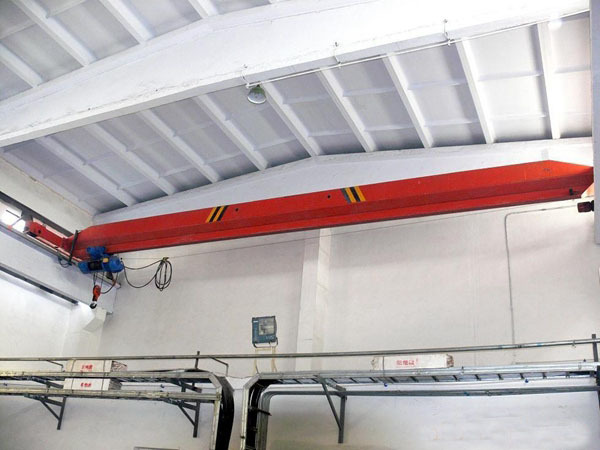 Single girder overhead cranes have one girder across the middle for support of the trolley, and the suspension monorail can move more smoothly and quickly. This aids in a more cost effective and efficient operation. 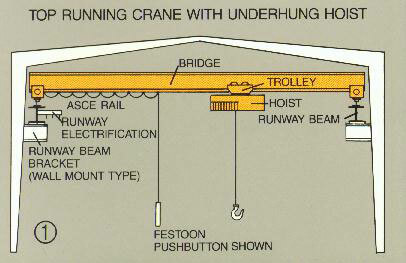 An under running single girder crane setup is an operation where the trolley is suspended directly under the girder. This allows a much more efficient running arrangement with the need for support columns that are interfering. 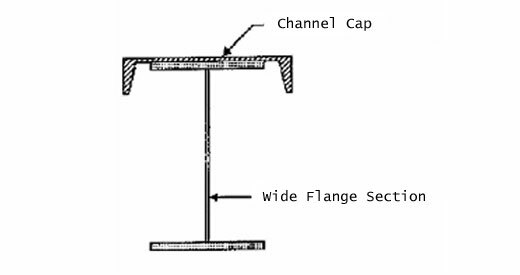 The under hung system depends on the lower flange of the runway beam, which make a natural runway for the crane attachment. The single girder under hung crane can operate on multiple runways that can maximize the depth of the bridge girder which can decrease the weight of the operating equipment. The result is lower costs for the equipment and lighter design requirements when it comes to making and building the structure of support. A second advantage of a single girder, under hung arrangement is the fact that that crane setups can be operated side-by-side without have to make adjustments in the entire scheme of things. Where the bays in a building are wide and multiple under hung runways can be installed where they are adjacent to one another. This gives them the ability to pass each other and all operate together. 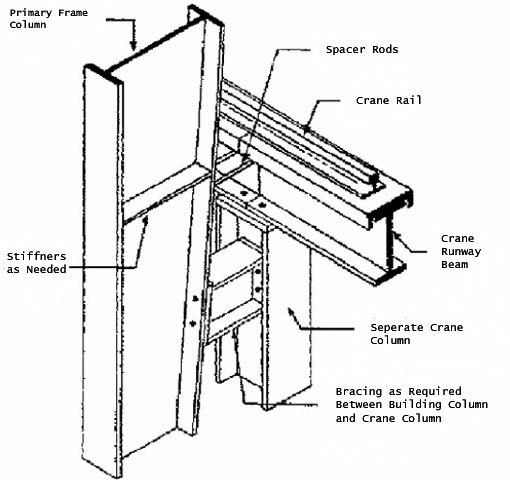 Top-running single girder arrangements cannot accomplish this feat because they will have to be supported with extra auxiliary columns or other types of support. Still another advantage of the single girder, under hung cranes is that they can be operated with mechanisms that interlock with one another, causing the ends of adjacent cranes to lock together ends which allows the transfer of carriers from one crane to another. Each end of the cranes can interlock in this manner, to give total flexibility as to length of a track for the carriers to run on. When a setup that uses multiple stations of interlocking and connecting one crane to another is used, it eliminates the need for load re-handling, which will decrease the costs for material handling. 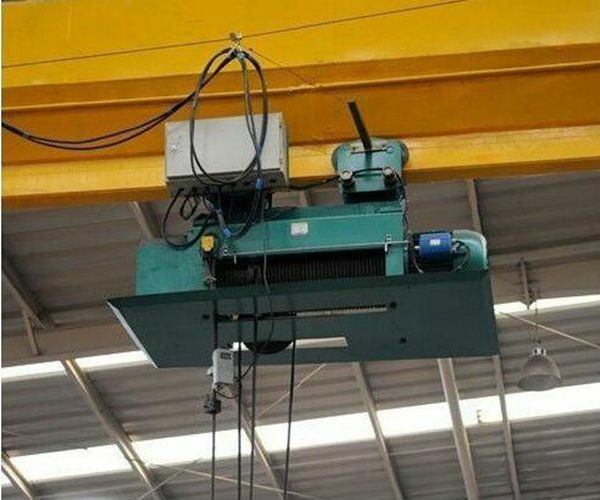 This is much more cost-effective than buying and installing a completely new crane. By using this interlocking type of strategy, you create an entirely fluid system which decreases downtime, and can even reduce or eliminate the need for additional lifting equipment. Single girder with under-running cranes are particularly ideal for setting up monorail systems that transfer the trolley and the hoist from one interlocked crane to another in processes that transfer materials along a fixed path for some distance. Systems using this method can even be set up to transfer materials to different spurs, multiple spurs, or any configuration that meets the needs of the process. Great flexibility is provided as the single girder system is more flexible itself as it requires no additional support from building girders, as the loads are of a lighter nature. Since the single girder bottom-hung are lighter in weight, they are easier to make to conform to more diverse and lighter weight processes.